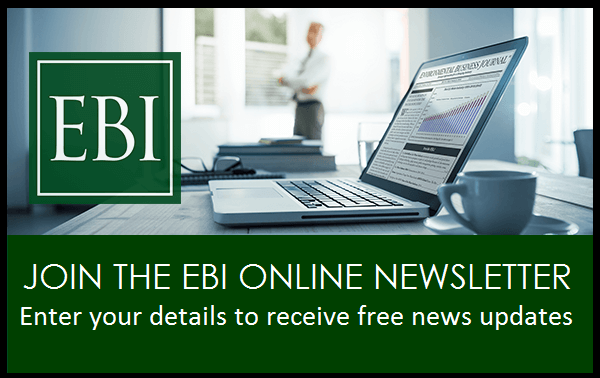 The 2018 Environmental Industry Summit Presentations include files that contain information presented during EBI’s 16th annual Environmental Industry Summit, which was attended by over 100 environmental industry executives. Topics include Politics, Policy & Federal Outlook, a snapshot of environmental industry performance in 2017, 2020 year outlook and many more interesting topics. 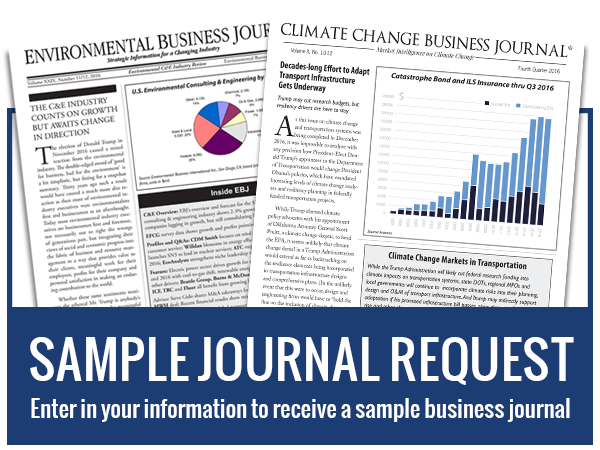 EBJ Market Overview: State of the Industry 2017-2018 – Grant Ferrier, Editor-in-Chief, Environmental Business Journal. A snapshot of environmental industry performance in 2017 and growth forecast for 2018-2020 in key segments is included in the 2018 Environmental Industry Summit Presentations. 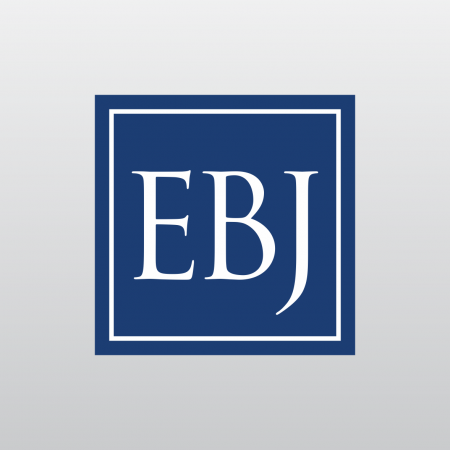 Top client sectors and emerging service areas are forecast featuring results of EBJ’s annual survey of 100+ executives. Perspective on regional markets and global opportunities as well as how investors, M&A, consolidation, polarization, client vs. service focus, technology, information, human resources and global strategy is impacting marketshare in C&E, remediation, industrial services and labs. Activity will shift to expedited permitting for pipelines, grid upgrades, brownfield conversion and water system improvements. Transit hubs, bridges and ports also will get makeovers. Budget roll-over deals in Congress fend off federal shutdowns but keep EPA in cutback mode. Politically, Republicans face a di cult task defending their majority in the House in the mid-term elections, but Democrats must defend 25 Senate seats to just 10 for the GOP. States will have more say but must raise revenues for build-outs and upgrades. Elections for 36 Governors could be more important than a battle for Congress. For energy and environmental policy, we have entered a Devolution cycle where Republicans want decision-making moved closer to projects, and Mayors and Governors of both parties want more options for community outcomes. Background on emerging contaminants, PFAS, the snowball effect and their occurrence in the US drinking water hydrologic basin. With more devolution of policy and funding away from Washington, DC, how are States working with utilities and communities on Resiliency & Sustainability? Hurricane damage in 2017 set a record (Harvey, Irma, Maria), and drought and fires are becoming more pronounced in the West. Even the Navy is devoting more attention to climate change threats under the banner of “national security.” How are these trends affecting emerging opportunities for environmental services? Sally Johnson gives an overview on the IRWM and the San Diego IRWM Program and explains how it has been such a great success. Big Data, Artificial Intelligence, the Internet of Things or widespread connectivity and Virtual Reality each are impacting the environmental industry at increasing rates. Renewable Energy Scenarios: Wind, Solar, Storage, Grid. Focus on Europe’s Comeback, Growth Economies, Multinational Companies, Water & Energy.